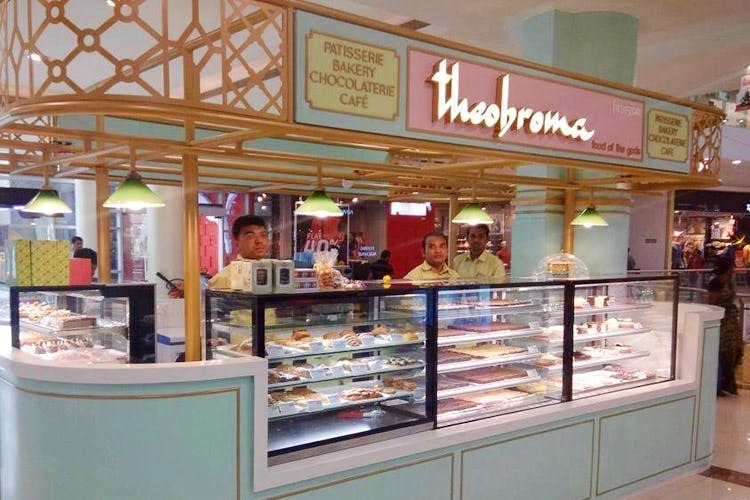 If only we had any sort of impulse control when it came to dessert, life would be so much easier Our favourite Mumbai-based bakery, Theobroma, doesn’t seem to help our case—we dream of their red velvet brownie and chocolate cupcake more often that we’d care to admit. They’ve been expanding their reach through the city with stores popping up everywhere, and their latest one has popped up in Punjabi Bagh—West Delhi’s first! No need to drive down all the way to South Delhi, Noida or Gurgaon anymore, folks! The outlet has their signature white theme, and is dishing out the ever-so-decadent cupcakes, brownies, cookies, cakes, pastries, pies and more. They’ll also sort you out with their croissants, sandwiches, eggs, toast, and pancakes when you need a quick brekkie fix. We’re already on our way.